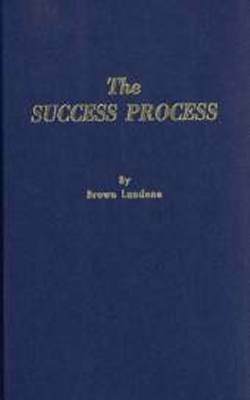 THE SUCCESS PROCESS by Brown Landone. Five Factors Which Guarantee Success. The Process of Vivid Thinking, Tones Used in Persuading, Use of Action, Overcoming Hindrances, Developing Capacities, Securing Justice, Augmenting Your Success by Leadership, Etc. 233 pgs. 5x8. Hardback. ISBN: 0-89540-181-9.